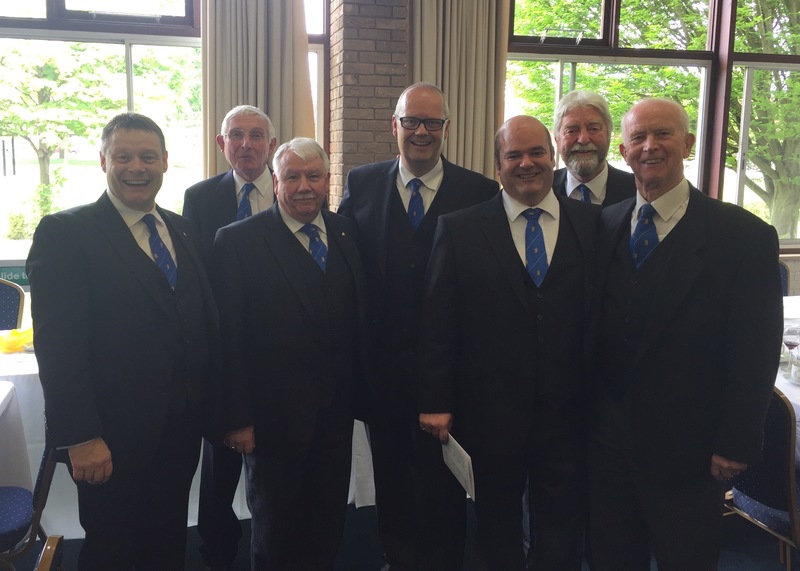 On Saturday 21st May 2016, a large group of brethren from the Lodge of Happiness attended the Annual Provincial Meeting of Warwickshire at Stoneleigh Showground in support of W.Bro. Mike Willetts who was receiving his first appointment to the Acting Rank of Provincial Assistant Grand Standard Bearer. With over 500 in the room for the Provincial Meeting, the Right Worshipful Provincial Master addressed the gathering and welcomed distinguished visitors from other Provinces and Masonic Orders. His address can be found here: http://www.warwickshirepgl.org.uk/Provincial-Chronology-2016/provincial-grand-master-s-address-2016 – a great and fraternal time was had by all in attendance. 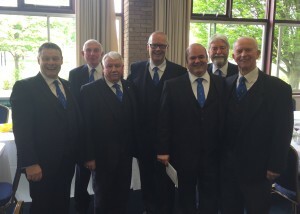 Much good humour and conversation flowed at the Festive Board with the Lodge brethren enjoying the company of brethren from our Mother Lodge, the Lodge of Faith and Hope no 4772 and that of the Lodge of Freedom. 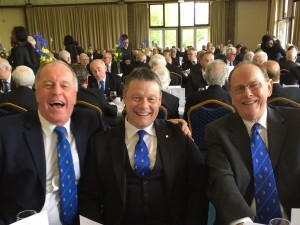 Brethren of Happiness together with W.Bro. 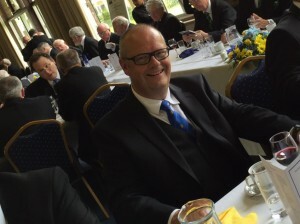 Martin Walsh, the WM of The Lodge of Faith and Hope.